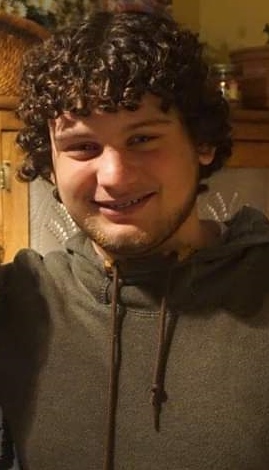 Stevie James Locklear, age 17 of Laurinburg passed away on Monday, October 29, 2018. Funeral services will be at 2:00 p.m. on Thursday, November 1, 2018 at the Richard Boles Funeral Service Chapel officiated by Rev. Opie Swails. Burial will follow in Laurinburg Memorial Park. Stevie, son of Heidi Janine Pate Tyler and Steve Ray Locklear was born January 5, 2001 in Pinehurst, North Carolina. He was a graduate of Cornerstone Christian Correspondence School and enjoyed his work as a painter. He also enjoyed wrestling, games, comic books, football and watching You Tube. His greatest joy was sharing time with his family and friends. He leaves behind his mother, Heidi Pate Tyler (Tim) of the home and father, Steve R. Locklear of Rockingham; grandparents, James “Pa” Horace Pate and Rhonda “Mamie” Pate of Laurinburg, Vera Locklear of Laurel Hill; half sisters, Kimberly Locklear, Whitney Locklear, Tiffany Locklear and half brother, Stephen “Matt” Locklear; aunts, Tina Allen and Starr-Anne Wethington (Billy) both of Laurinburg; his uncle, Sam Locklear of Rockingham; great uncle, Paul Pate; a special family friend, Dexter Hardin; his many cousins including special cousins, Brantlee Graves, Bryson Graves and a host of loving family and friends. Visitation will be from 6:00 until 8:00 p.m. on Wednesday, October 31, 2018 at Richard Boles Funeral Service.